An outstanding CTI (Computer Telephony Integration) Engineer by day and a very keen Amateur Radio Astronomer by night. 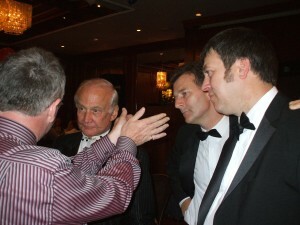 Rob has a passion for all things space related and he has been lucky enough to meet a number of Apollo Moon Walkers. Amongst other things, Rob has his own Weather Station at Bisley near Stroud, he is an active Member of The Society of Amateur Radio Astronomers and if you ask him nicely he will weigh the known universe for you with his slide-rule. Rob is an excellent public speaker and if you let him, he will talk about the Doppler Shift until the cows come home! 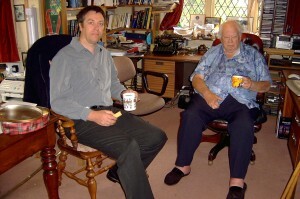 Rob likes nothing moore than a cup of tea and a biscuit and talking about the Moon, which he has enjoyed doing over the years with his friends, past and present. Rob lives near Stroud in Gloucestershire and works in Bristol. Apollo Talks is an organisation, put together in order to inspire with one of the greatest achievements in the history of mankind. We tell the story of the Apollo missions with great gusto and an aim to educate, entertain and inspire any audience we address.